If you’re new to the world of couponing or you just haven’t had much luck with it, then check out these tips and couponing secrets everyone should know! 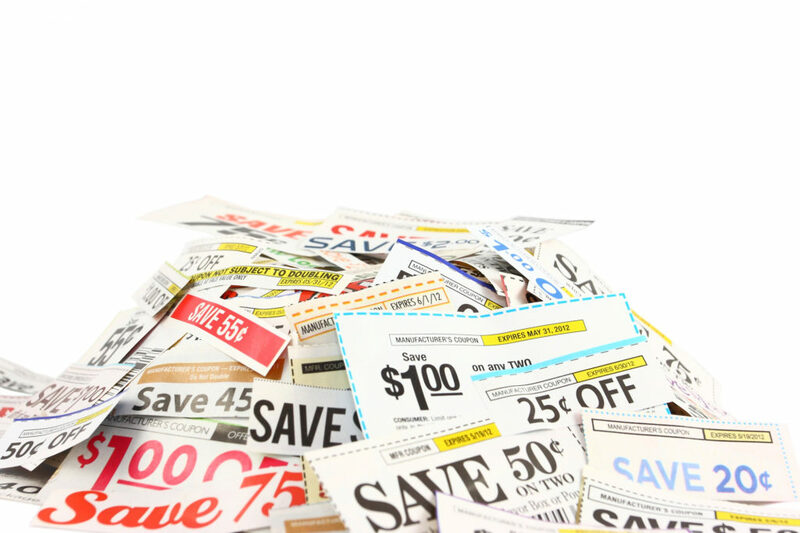 In 2010, the total value of coupons in circulation in the USA was over half a trillion dollars. That works out at more than $1500 for every single man, woman and child in the country. And since many people don’t use coupons at all, the share for those that do is even greater. Most people don’t take full advantage, just saving themselves the odd dollar here or there. But if you make use of these clever couponing secrets, you could save 80-90% of the standard price of products. In some cases, you can even get paid to make a purchase. So read on as we reveal the couponing secrets that you really need to know. First things first. You can’t do anything until you’ve got some coupons. You can find coupons in a whole range of places these days. Stores often have display boards with coupons that can be used for discounts in that store. In addition, you will often be given coupons alongside your receipt. These are known as Catalinas. We’ll come back to these later on. Your local newspaper is a great source of coupons for your local area. These coupons are great for multiple purchases. If you find a coupon for a big discount, there’s nothing to stop you buying several copies of that newspaper. The internet has had a huge impact on the world of couponing. There are now a whole host of websites offering coupons for a range of stores. It means you can now find coupons from the comfort of your armchair. Smartphones have also had a big impact on the couponing game. Dedicated apps are available to provide coupons for a variety of products. This also saves you the chore of keeping on top of all your paper coupons. Now that you’ve got your coupons, it’s tempting just to go straight out and use them. But the real savings are made when you use coupons on items that have already been discounted. A dollar off a full price item means you’re still paying well over half-price. But take a dollar off a half-price item and you’re getting a real bargain. When the item you want does go on sale, you need to strike. And that’s not going to be easy if you have wade through a shoebox stuffed with coupons. Keep your coupons in a folder, and group them sensibly, so you can always find the ones you want. And don’t forget to discard any coupons that go out of date. No, this isn’t when you get too old to coupon. Overage is the name given to using a coupon with a value higher than the products you are buying. So if you buy a $2 item but you have a coupon for $3, you’re owed a dollar. In this case, you may be able to get cash or store credit to make up the difference. Overage often happens when you combine more than one coupon to make a purchase. Which brings us on to the next of our couponing secrets. If you can use more than one coupon on a purchase, you need to make sure you use them in the right order. If you have a voucher that gives you $5 off a purchase of $20, it doesn’t make sense to use a dollar voucher first and take the bill down to below $20. Use the $5 voucher first to take your total down to $15. Then use your dollar voucher. Using coupons is a great way to help you manage your finances, but if you’re not careful you can end up spending more than you intended. Just because you have a coupon for a product doesn’t mean you need to buy that product. If it’s not something you want or need, leave it on the shelf. For the products you really want to save on, it’s good to keep tabs on the prices. That way you’ll know if an offer is not worth the effort, is a pretty good offer, or it’s time to buy out the whole store. It takes time to get to grips with the sheer number of couponing secrets. So it makes sense to start small. Try using coupons in just one store, to begin with. Once you have worked out the best way to make savings in that store, you can begin to expand into others. For instance, Mojo Savings coupons can give you discounts on products at your local Walmart. Once you’ve mastered that store, you can try out some others. With so many coupons in circulation, the check-out staff are never going to know how all of them work. Make sure you read up on the terms and conditions. Then you can steer them in the right direction and make sure you get all of your savings. It will also help to stop the queue behind you wanting your blood for holding up the line. We mentioned them earlier, but one of the best couponing secrets is Catalina coupons. These are the coupons that you get given with your receipt when you pay for your purchases. What coupon you get is difficult to predict, but the holy grail is the money off your next purchase coupon. This is basically like being given free cash. It’s a coupon you can use for anything, and they are great for overage. If you have $5 off your next purchase, and your next purchase is $3, you’re $2 to the good. Combine them with other coupons and you can make some serious savings. Now you’re armed with the hottest couponing secrets in town, it’s time to get out there and start saving some money. Remember, there’s half a trillion dollars out there that you could be saving. If you’ve found this article useful, there are plenty more cash-saving tips for you in the finance section of the site. Check it out and see where else you could save. And as always, feel free to get in touch with us by heading to the contact page.